Each day offers a different adventure in paddling, hiking, and nature exploration. 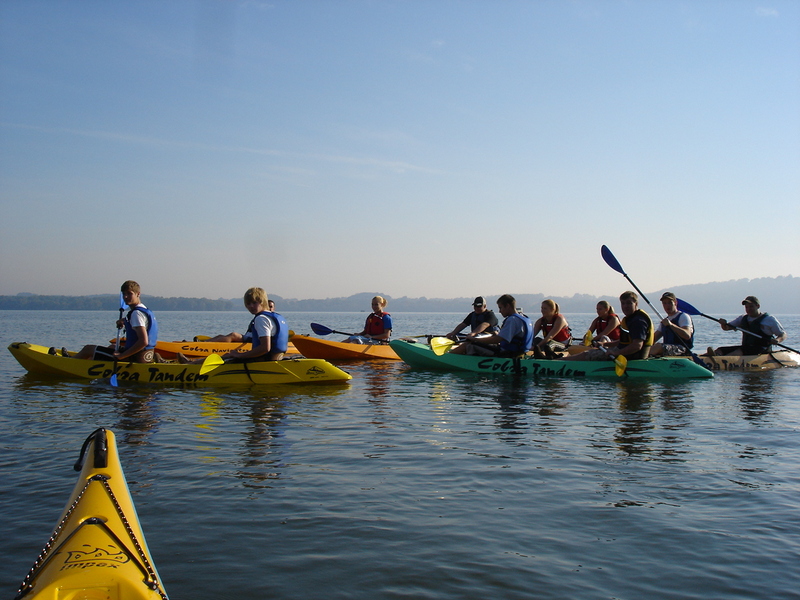 Campers will float down the Susquehanna one day and explore Fishing Creek with all its natural wonders another. They will wander through a tectonic cave and hike the same trails the Susquehanna Indians traveled hundreds of years ago. They will play disc golf in a local park and learn a whole new outdoor pastime. Boys and girls 10-12 years of age may register for this day camp program (must be those ages any time in 2019). All equipment, lunches, experienced counselors, and transportation from York and Lancaster are provided. Campers should bring a daypack each day with swim clothing, water shoes, towel, sunscreen, water bottle, cap with brim, and sweatshirt. Campers will be given specific instructions on the caving days. Electronics must be left in backpacks at all times. A camper information packet will be provided upon registration. Shank's Mare's counselors are fully qualified and experienced. There are two counselors with camp group (max. 12 children) at all times. Includes equipment, lunches and transportation from pick-up points in York or Lancaster.